Walk the streets fighting against tyranny and calling for change with this V for Vendetta Belt with Daggers. The black belt features a grayish buckle and six slits to hold the daggers in place. The daggers are made of plastic. Each features an ornate crossguard, circular pommel, and black handle. 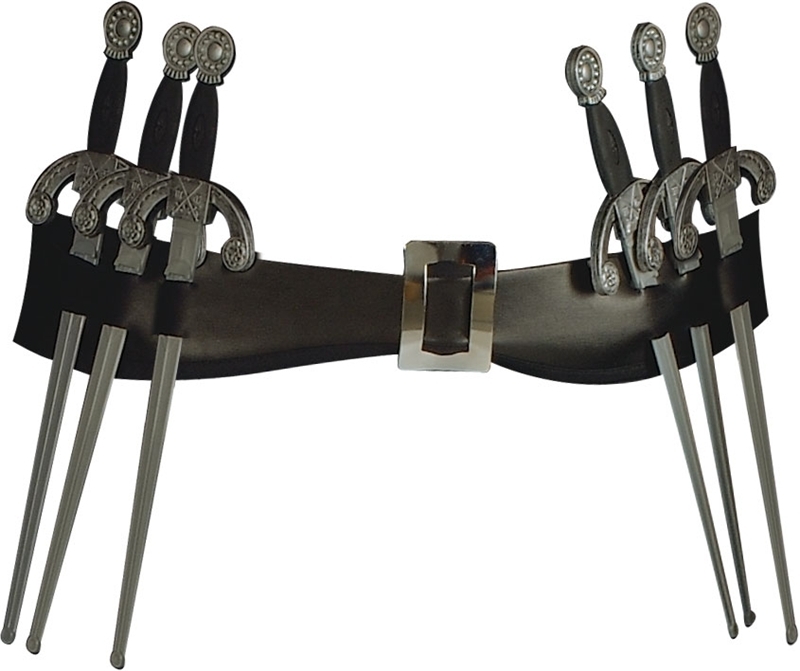 The belt with daggers is the perfect accessory for completing your Halloween or cosplay costume. Remember this V for Vendetta Belt with Daggers this November 5th.